Luxury Fireplace Updating, Renovations & Updating in Naperville IL. Remove & Replace Your Existing Fireplace and Change to Stone or Stacked Stone. Located in Naperville IL. Southampton Builders is Located in Geneva IL. Looking to Remodel Your Outdated Fireplace? Is it Obnoxiously Large and a Funky Color Brick? Rip it Out! 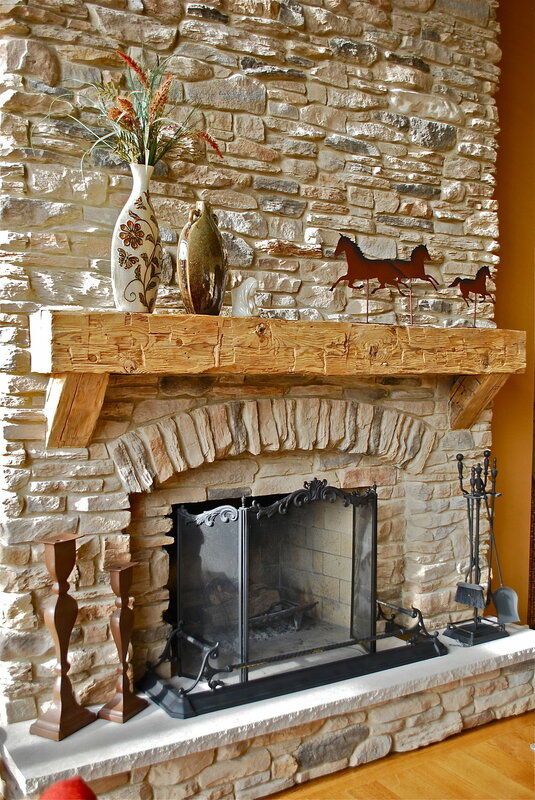 Southampton Removes or Covers Existing Fireplaces with Stacked Stone, Stone, Cultured Stone or New Brick. Take a Look at what this Gem used to Be! Yikes What is this Game of Thrones? Look at that Ugly Fireplace! 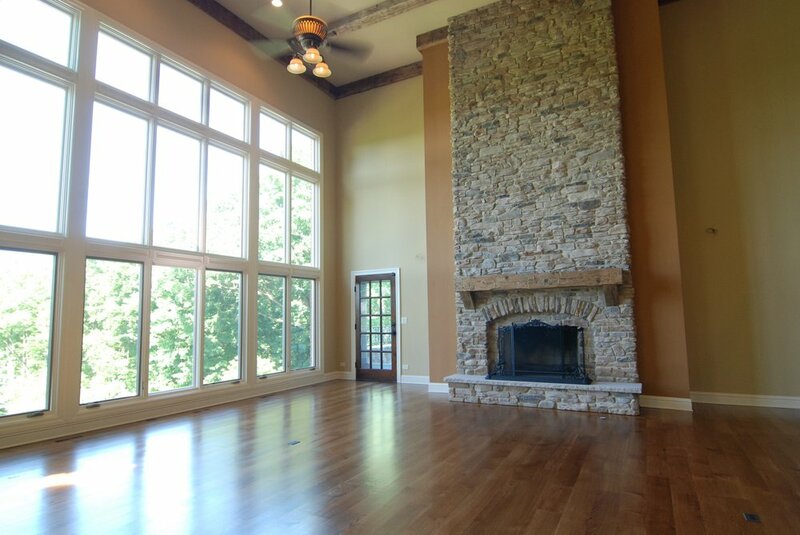 Naperville Fireplace Remodeling & Updating . Yikes it Looks Like a Game of Thrones Set! This Client Remodeled Their Entire Home. 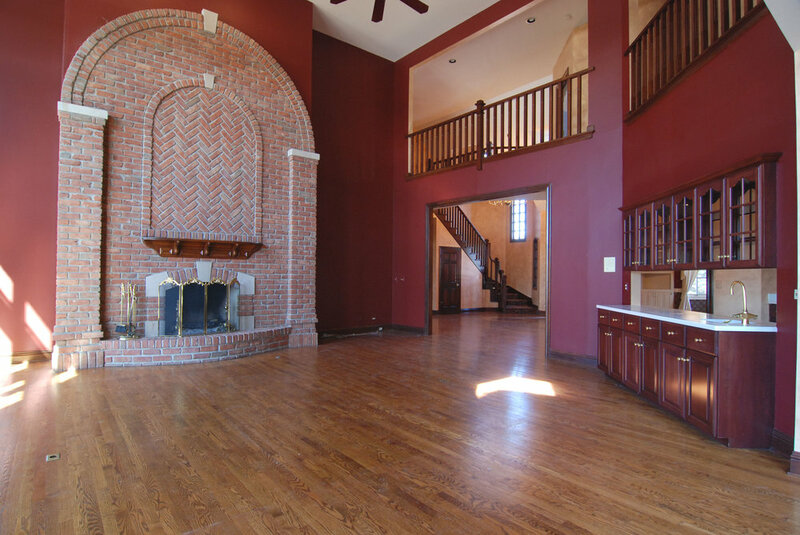 All 6 Bedrooms, 6 Bathrooms, Full Kitchen & First Floor Master Bedroom. Also the Basement. The Home had Great Bones, A Spectacular Location Overlooking a Golf Course and a Castle Front Facade. We Custom Made the Ceiling Beams from Old Amish Barn Wood & also Made a Custom Wooden Fireplace Mantel. Naperville & St. Charles Illinois Fireplace Renovations, Remodeling & Updating. Looking to Remodel Your Fireplace? Call Southampton Builders LLC. Charming Stacked Stone Fireplace with Arched Opening & Custom Wooden Mantel Made from Amish Reclaimed Barn Wood. 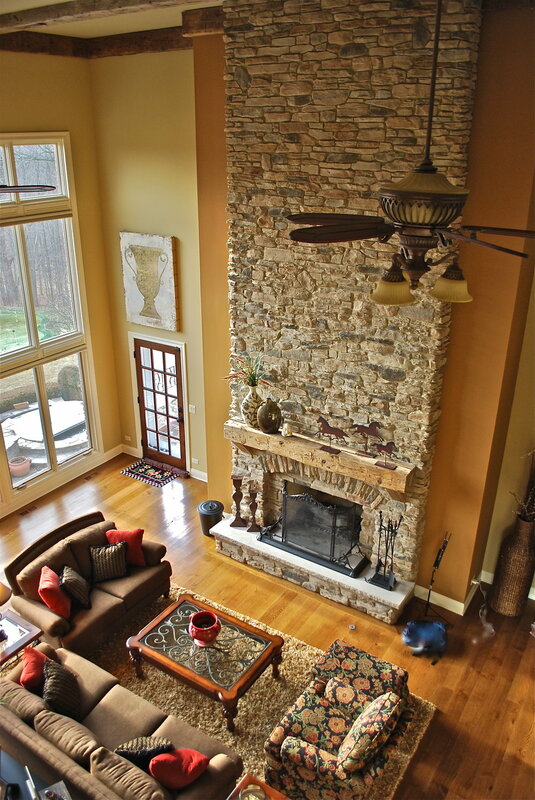 Stacked Cultured Stone Fireplace. Lets Take another Look at the Before Photo! Wow Look there was a Bar! We Omitted the Bar and Made it Open to the Kitchen & Back Staircase to Basement. Custom Home Remodeling & Renovations by Southampton Builders Located in Geneva IL. Over 30 Years of Experience in Luxury Remodeling & Semi Custom Renovations. Any Kitchen From Big to Small is a Fun project to Tackle and Remodel to Your Taste! Take a Look at Our Website to See a Few of Our Past Projects. Geneva IL. Fireplace Remodel in Custom Two-story Family Room. Give Southampton a Call for All of Your Home Remodeling Needs! From Fireplace Remodeling, Kitchen & Bathroom Updating to Finished Basements! We Would be Happy to Help. Southampton Builders Services Northern Illinois & is Located in the Fox Valley town of Geneva IL. St. Charles IL. Batavia IL. Oak Brook, Glen Ellyn, Hinsdale, Sycamore, Barrington, South Barrington, Inverness, Naperville, Elmhurst, Carol Stream, Bartlett, Campton Hills, Downers Grove, Lombard & More!